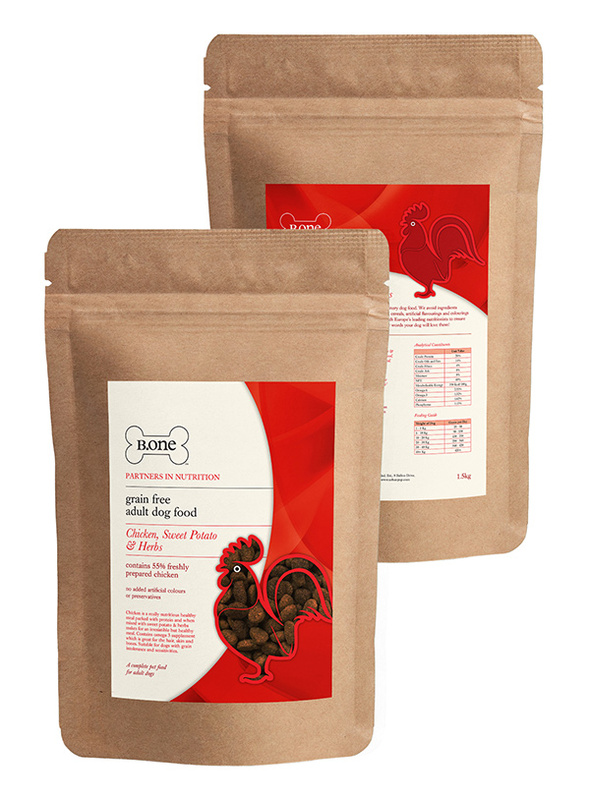 B.one premium hypoallergenic grain free dog food is no ordinary dog food. 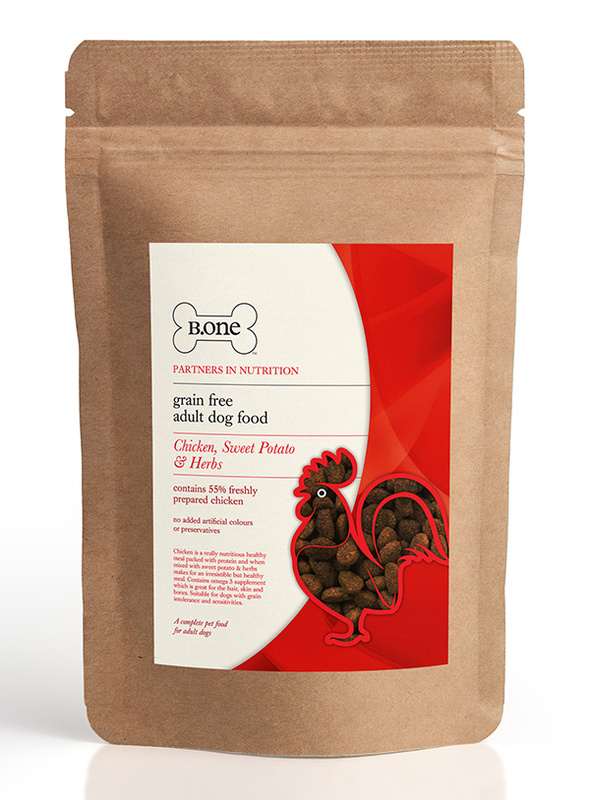 We avoid ingredients that are known to cause allergies and itching such as grains, cereals, artificial flavourings and colourings to produce a tasty hypoallergenic food. 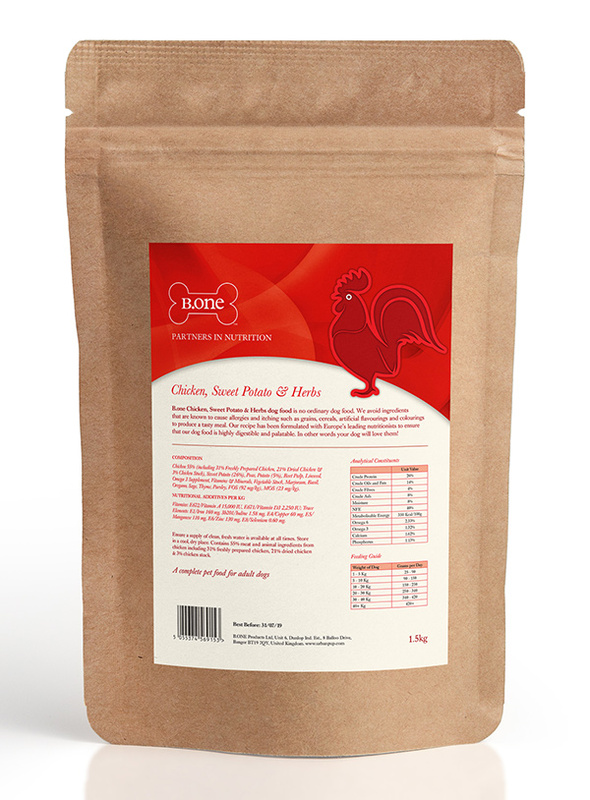 It contains a delicious blend of chicken, vegetables and herbs high in Omega 3 which is great for the hair, skin, bones and joints. Our recipe has been formulated with Europe's leading nutritionists to ensure that our food is highly digestible and palatable. In other words, your dog will love it! (1.5kg / 3.3lb pack).